RAF is a digital image format used in Fuji digital cameras. Unlike JPEG or TIFF, RAF files cannot be printed or used by photo editors, because they have not passed any processing yet. In fact, RAF files play the same role as analogous negatives, i. e. they actually contain all the information necessary to make an image. This information is stored in the so called header file, and it includes sharpening level, contrast and saturation settings, color temperature, etc. RAF files also contain technical characteristics of the camera (metadata). Both image sensor data and metadata are saved to the card and are ready for further processing by photographers. RAF is just one member of the whole bunch of raw formats known for today, such as CR2 (Canon), ERF (Epson), MEF (Mamiya), MOS (Leaf), PEF (Pentax), ORF (Olympus), etc. There is no uniform standard for raw formats, because they are all proprietary and therefore cannot be fitted to a fixed pattern. Some cameras are apt to save images in JPEG. However, higher grade cams save all the settings without applying any JPEG or TIFF format settings, so that photographers can save RAF files on a PC and do all the processing manually. Compared to JPEG images, RAF images have a much wider color gamut, and are characterized by maximum proximity to the real picture. In other words, RAF images represent exactly what the sensor has detected in much the same way the human eye detects things, light and colors. In this case, the sensor’s individual photo-receptive elements (pixels) actually stand for the retina’s photosensitive ganglion cells. RAF format presents an ample ground for editing operations that are not feasible in JPEG or TIFF. For instance, you can operate white balance in a much more precise way by setting the white point to any value. In JPEG, this is done by aid of preset Daylight or Incandescent options, but they provide a much smaller room for action. Depending on the camera model, RAF provides 12 to 14-bit images, while JPEG files have only 8 bits of intensity information. Although RAF images ensure much better image quality, not all photographers have the time and energy to do any extra processing after shooting. RAF files are much larger in size, so they are hard to transmit online. This is also a reason why they are hard to fit on a card and shoot slowly. 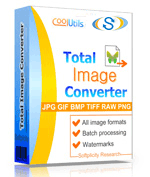 That's why many prefer to convert RAF files to TIFF, JPEG or other formats.